Are you looking to maximize your diesel truck’s performance? Maybe you’re in the market for some good Cummins performance parts. We know the feeling. That’s because we don’t just sell diesel parts; we live them. While our competitors train everyday people to sell diesel parts from barren cubicles, we spend our days purchasing, driving, and custom building diesel trucks out of pure passion. 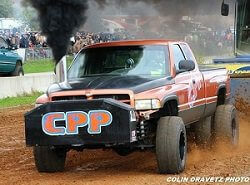 We even custom built our official CPP Diesel truck, and we’re constantly taking first place in competitive truck pulls. So you can believe us when we say that we relate to your needs. For instance, we recognize the need to keep upgrading and improving a truck’s power and performance. You don’t need to be hitting the track every day to appreciate the feeling of driving a high-performance diesel truck. Plenty of people out there keep tweaking their trucks to get more towing and hauling power, or just to make their daily commute more enjoyable and affordable. Whether you’re a professional, hobbyist, or casual driver, our high performance diesel parts are what you need to take your truck to the next level. Here at CPP, we want to help you to get the same caliber of high-octane performance out of your diesel truck that we demand from ours. Whether you want to add exterior accessories to give your truck some custom attitude, or a new air intake system to boost your horsepower and mileage, we have you covered. 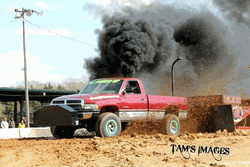 We have all of the aftermarket diesel parts you could possibly need. While our competitors all specialize in the same refurbished parts and accessories, we offer the kinds of highly specialized performance essentials and upgrades that you just won’t find anywhere else. We take tremendous pride in every single item we offer, and we are confident that you will recognize the difference immediately. After all, nobody wants to have to upgrade their upgrades! There’s no denying that the cost of Cummins performance parts can get expensive at times, but the results are clearly worth it. In fact, many upgrades can actually reduce fuel costs and improve gas mileage, making them savvy long-term investments. You might also be surprised by how much you can actually save if you buy from the right source. Here at CPP, we have a huge selection of custom parts and components for nearly any make and model, but that’s just the beginning. In addition to our extensive, comprehensive inventory, we also have the best prices around. We can work with any budget to maximize the torque, horsepower, efficiency, and overall performance of your diesel truck, so don’t hesitate to give us a call and tell us what you need and what you’re looking to spend. It doesn’t matter how much you’re spending – you deserve to get what you paid for. Here at CPP, we don’t just offer all the best Cummins performance parts. We want to be your preferred diesel parts dealer, which is why we go to great lengths to ensure the complete satisfaction of every single one of our valued customers. If you need to cancel or return an order, we will work with you to make sure that everything goes smoothly and easily. Maximizing your truck should be an enjoyable experience, and we recognize our role in making that possible. If you’re ready to make your diesel dream a reality, don’t think twice about ordering from CPP Diesel. If you don’t see what you’re looking for, or if you have any questions about any of our products, please don’t hesitate to give us a call at (724) 785-4022 between 9am and 5pm EST, Monday through Friday. You can also chat with us by clicking in the bottom right corner of this screen or by filling out a contact form on our website, and we will get back to you promptly. High performance diesel parts are our passion, and we take what we do very seriously. Place your order online with confidence today.